Manchester United football player Christiano Ronaldo was involved in car crash earlier this morning in a tunnel on the A538 Altrincham Road near Manchester airport. 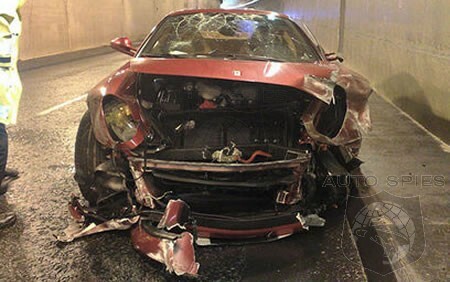 Ronaldo lost control of his Ferrari 599 GTB Fiorano. An eyewitness said that she saw Ronaldo speeding away and driving into the tunnel before lost control. His team member, goalkeeper Edwin Van der Sar, was following behind in his Bentley but was not involved in the accident.